Snakes' ability to go long periods between meals is unrivaled in the animal kingdom. Snakes are able to endure fasts of weeks or months due to a number of physiological mechanisms, including adaptations of the skull and digestive system to help consume enormous prey, relatively low caloric needs for their mass, and the peculiar ability to lower their metabolic rate in response to long fasts—an ability unknown in other vertebrates. 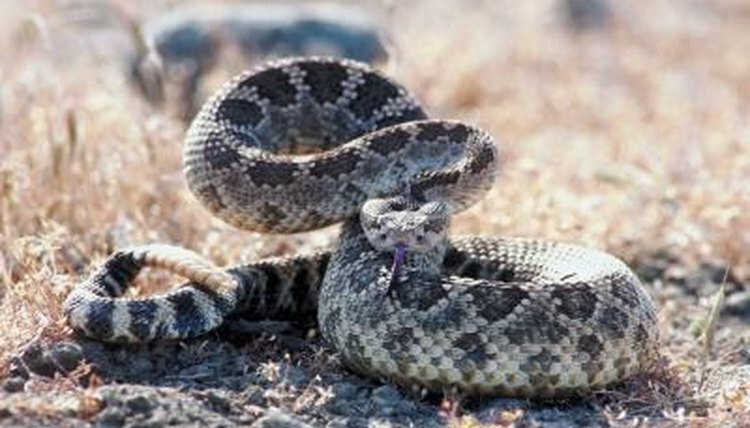 In a 2006 study published in “Copeia,” author Rulon W. Clark estimated that wild timber rattlesnakes (Crotalus horridus) eat 12 to 15 times per season on average—about twice per month. (It is important to remember that this is an average, as the group studied included some with many prey items in their stomachs, and some that hadn’t eaten in months.) Some temperate area snakes are well known for undergoing dormancy for five or six months at a time, during which time they don’t eat. Records exist of both ball pythons (Python regius) and reticulated pythons (Python reticulatus) fasting for more than 22 months before resuming a regular feeding frequency. All snakes are carnivores, and without limbs to dismantle large prey or mouths designed for chewing, snakes must swallow these items whole. To ingest such large prey items, snakes have evolved very elastic and loosely articulated skulls that are capable of opening up to 130 degrees. Whereas a human jaw is a simple joint that pivots at one place, a snake’s jaw has two pivot points, located at either end of the quadrate bone. This wide gape allows snakes to consume prey with a diameter that is larger than the snake's skull. In addition to their flexible mouths, snakes have strong acid in their stomachs to digest such large prey before the bacteria in the prey’s digestive system digests it from the inside. The intestine of a snake grows substantially when food is in the stomach, thus providing greater intestinal surface area for digestion. These stomach and intestinal adaptations help snakes routinely consume 25 percent of their own body weight, and sometimes prey approaching their own body weight. By contrast, humans would find it difficult to consume 2 or 3 percent of their body mass at a sitting—about 5 pounds for an 175-pound person. By consuming such enormous meals, snakes can ingest enough calories without eating frequently. In his book “What’s Wrong with My Snake?” John Rossi DVM, MA cites a 1982 study by noted herpetologist H. S. Fitch, which found that snakes from temperate climates require between two and four times their body weight in food per year. For a typical 3-pound ball python (Python regius) this would equate to 6 to 12 pounds of food per year. If the snake eats rats that weigh approximately a quarter of a pound, a 3-pound ball python would require about 25 to 50 rats per year. Larger prey would allow for longer times between meals; this ball python could eat a 1-pound rat every other month, and still get enough food to survive and grow. To help provide context for these figures, the average American consumes approximately 2,000 pounds of food annually, or about 10 to 12 times the average human weight. Cold-blooded animals like snakes have very slow metabolisms. Though snakes may produce extra metabolic heat when digesting prey, they typically don’t produce enough to heat the animal from the inside. As snakes require less food to fuel their furnaces, they can go long periods without eating. In addition to their normally slow metabolisms, some snakes can reduce their resting metabolic rate by 72 percent when food is scarce; this allows them to function on even fewer calories.